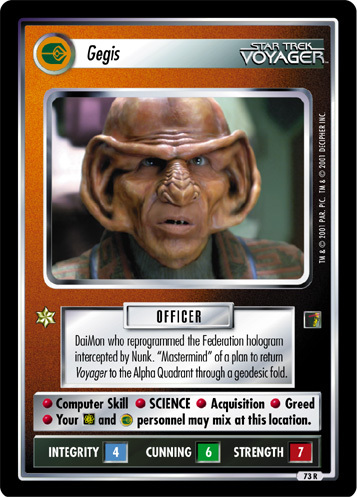 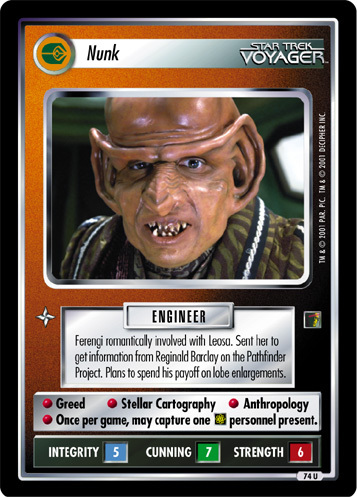 Ferengi romantically involved with Leosa. 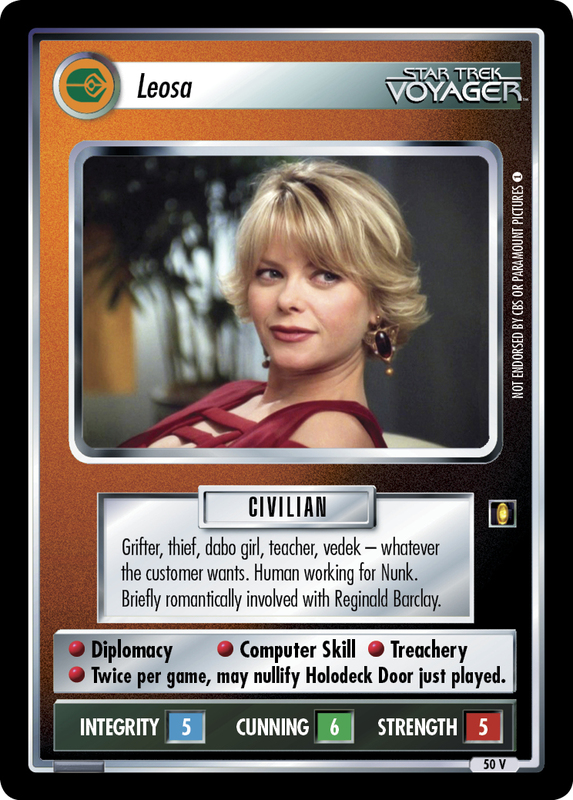 Sent her to get information from Reginald Barclay on the Pathfinder Project. 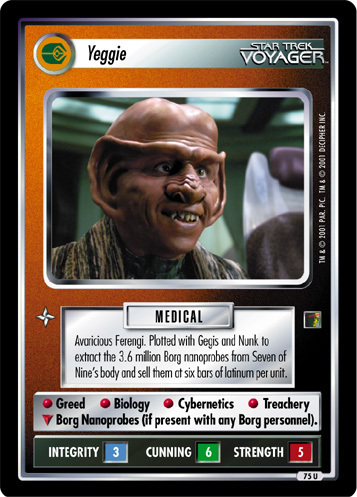 Plans to spend his payoff on lobe enlargements. 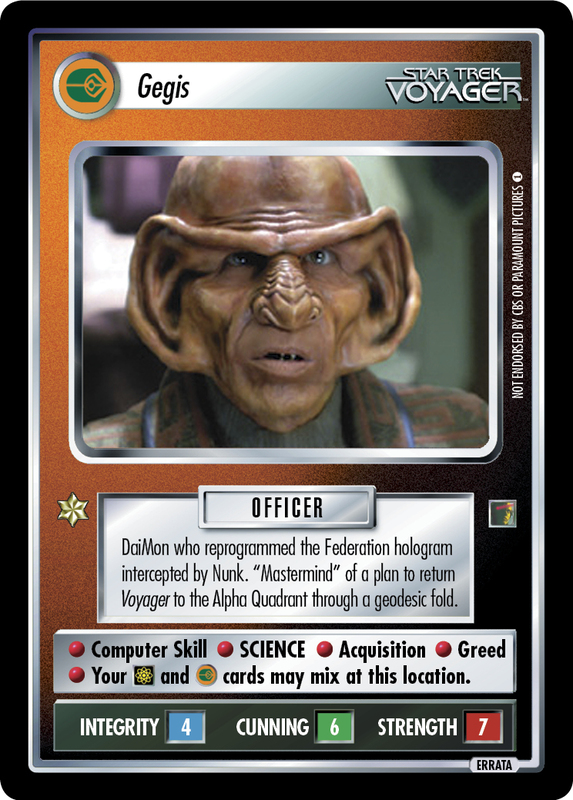 • Greed • Stellar Cartography • Anthropology • Once per game, may capture one personnel present.